• There are 209 rooms and suites. • Le Français restaurant with french cuisine, L’Italien with Italin cuisine, Le Marocain with Maroccan cuisine and the Churchill bar. • Conference facilities, a fitness center, a massage room, a hammam/steam room, a sauna, a jacuzzi, a tennis court, an outdoor pool and an indoor pool. 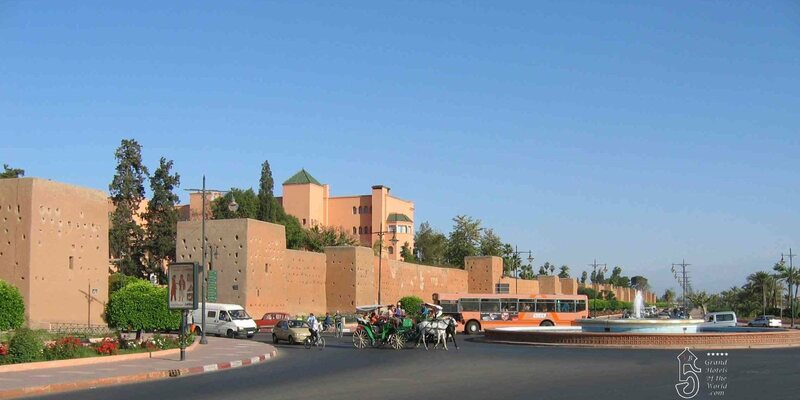 • La Manounia is located in the Medina, behind the Palais Royal and at only 5 min walk from the Jema el Fna square. • 1925: Opening of the Hotel. • 2006: Closing of the Hotel for a 120 Million Euro renovation. • 2009 September: Reopening of the Hotel. • 2013 January: Marriage of Yekaterina Putin, daughter of the Russia President Vladimir Putin.